Roger Weise lives and works in the Coastal Mountain Range Of Central Oregon, 20 miles southwest of Eugene, OR. He was born in 1951, raised and came of age in the San Fernando Valley, CA. Weise studied art at Cal State University Northridge in The early seventies. After art school, he traveled and worked different jobs so that he might get a wee slice of life under his belt while still painting. He set tile, groomed poodles, installed chicken coops and ran a wall paper removal service for the rich and famous. 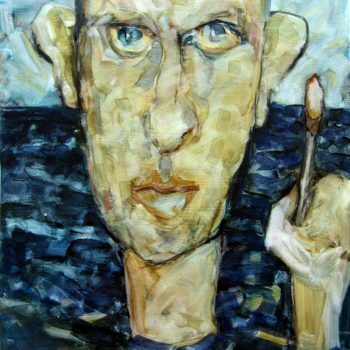 In 1995 Weise gave up his last “temporary career” as a technical support manager for a software company to become a full time artist, his real and authentic job.